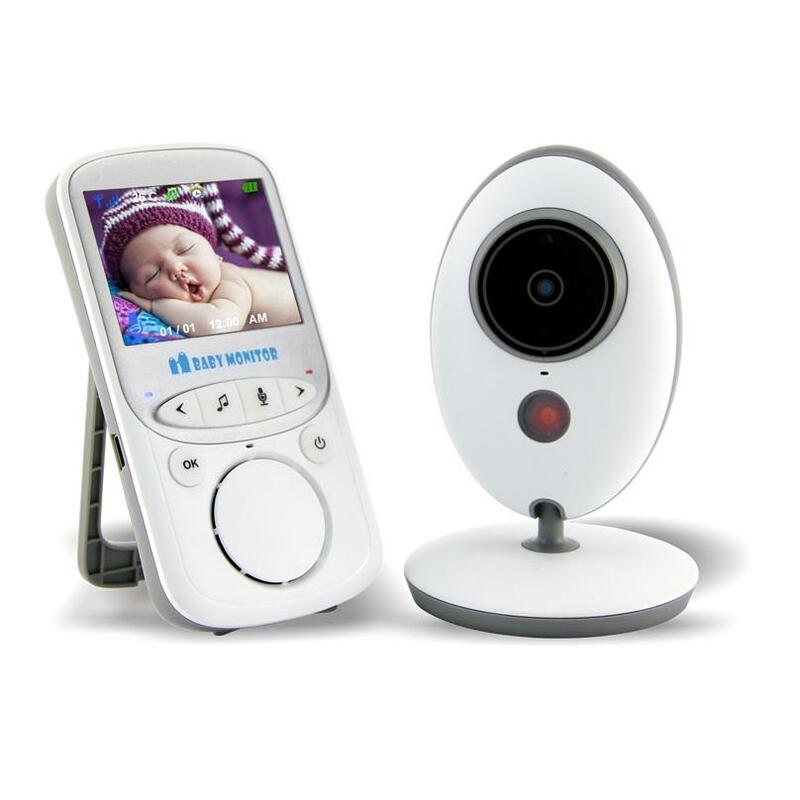 VB605 portable video baby monitor is a perfect addition to your baby's nursery or bedroom. Improved 2.4Ghz FHSS technology to prevent crossed signals and signal drop outs. 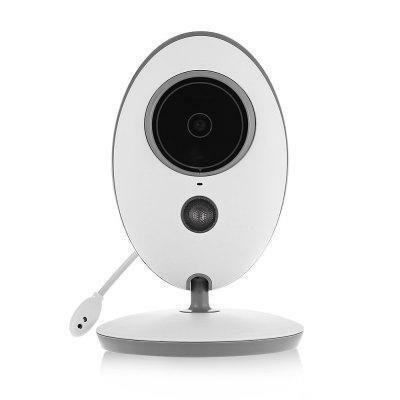 The monitor has a range up to 850 ft and out of range warning, allowing you to move around the house or yard freely. The receiver has full-color 2.4 inch screen to show real-time video and audio. 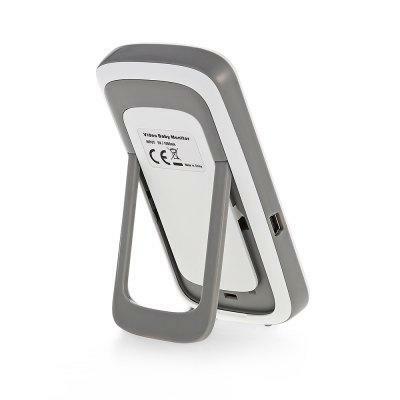 It has 750mAh battery built-in lasting for 20 hours in VOX mode. The transmitter is equipped with a temperature sensor which is reported on the receiver's screen. You can ensure that it never gets too hot or too cold for your baby. The screen turns into sleep after 1 minute without any sound in transmitter side if you turn on VOX mode. It will on automatically with sound activated in transmitter side. Receiver works more than 20 hours with VOX on. You can focus on your working or sleep well with VOX on. Lull your baby to sleep with one of 8 polyphonic lullabies or comfort him/her when he/she wakes up. 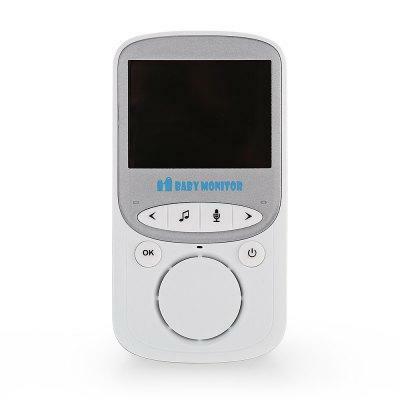 You could talk back to your baby to comfort him/her via talk button when he/she is crying. Rotated aroud 360 degree, up & down 120 degree. You can put it in anywhere and adjust the angel as you want.